Teresa Musco was born in a little village in Caiazzo (now Caserta) Italy on June 7th, 1943 to a farmer named Salvatore and his wife Rosa (Zullo) Musco. 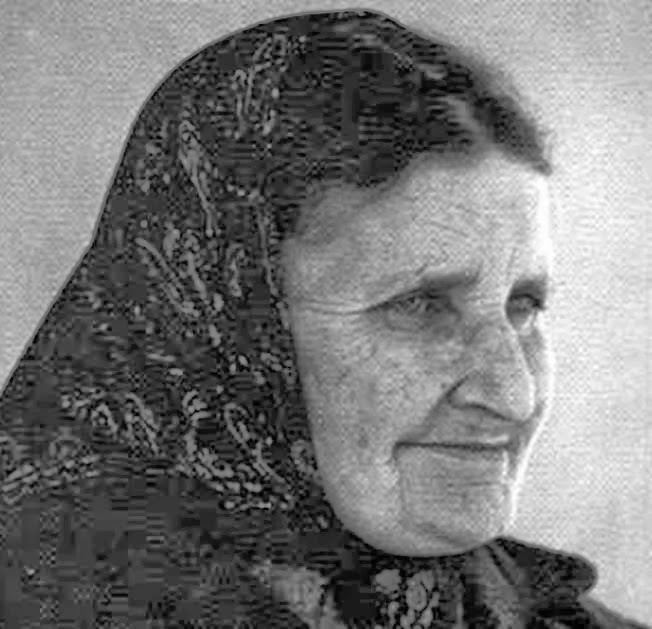 She was one of ten children, four of whom died during childhood, in a typical poor southern Italian family. 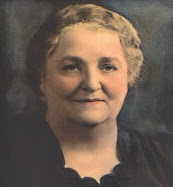 Her mother, Rosa, was a mild-tempered and charitable woman, who always sought to obey her husband. Her father Salvatore, on the other hand, had a hot temper and was very easily angered. His word was law and had to be obeyed. The whole family suffered because of his harshness, especially Teresa, who was often at the receiving end of his cruelty. At the time of her birth, World War II had been raging through Europe, causing extreme conditions in many areas. Poverty was rampant, and Teresa and her family suffered the effects of the war very distinctly, and the family often lacked in food and the other essentials of daily life. This put a strain on her father Salvatore, which only caused him to be more irritable, often causing him to curse and swear. As for Teresa, she began doing housework at a very tender age and learned very early the lessons of self-sacrifice for the benefit of others; for her entire life was to be one of sacrifice and offering. She was sickly at times, suffering from various ailments, perhaps brought on by the lack of nutrition due to the poverty brought about by the effects of the war. 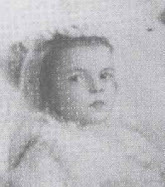 The most notable thing about Teresa was however her prayer life and devotion, along with her maturity, which was out of the ordinary for a young child of her age. "Teresa, do you love Me?" And Jesus' question "Do you love Me?" made a deep impression upon the heart of little Teresa, and her joyful reply was ‘Yes, yes, always yes!’ as she wrote later in her diary. Jesus was calling her to unite with Him for the conversion and salvation of sinners, and her "yes" drew her ever closer to Himself. To unite with Him, and be like Him, she would have to suffer and learn to sacrifice for others, and so began the painful, yet joyful mission as a victim soul that God had given to her. And not only was she guided by Jesus and Mary at a tender age, but also her guardian Angel who taught her to make sacrifices and to offer them in union with Jesus. When Teresa gave her mother the money, her mother received it gratefully, and happily went out shopping for groceries, but Teresa had a terrible scene with her father. He wanted to know who gave her the money and for what reason? She would not tell him, because the Angel had told her not to tell anyone, so her father then accused her of stealing it. He battered her, cursed and even spat upon her. As punishment, he made her go with her mother every morning to sell vegetables. It was very hard work, as both had to rise at 4am, load up with vegetables and take them several kilometers to the market. Usually they had to stand there all day and try to sell all of the vegetables. Thus their day at this time often lasted from early morning until late in the afternoon. At the end of the day, both mother and child returned tired and worn out. Yet, how did the father receive them? Angrily and unappreciative as as usual, and cursing he often made them go to bed without having eaten supper. ‘It was a dog’s life,’ Teresa wrote in her diary. Yet it seems that Jesus had arranged it this way, or at least allowed it, so as to help her to accustom herself to sacrifices and suffering from a very young age. Teresa asked the priest his name. And, with those words he held out his hands and showed her the stigmata which he himself been given. He then blessed her and disappeared. Out of love for Jesus and the conversion of sinners Teresa was willing to take upon herself whatever suffering God permitted or sent. She didn’t have to wait long. It stared with strong abdominal pains, high fevers and one knee that began to swell to such a size, that the doctor decided to operate, but to no avail. These illnesses continued causing her severe pain and suffering at times, and after one year she also came down with pneumonia in her left lung. 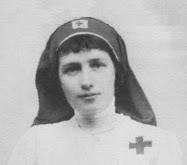 As the years of her adolescence passed, there were many stays in several different hospitals and altogether she had roughly 117 operations, and because of this her body looked almost like a sieve, as she had holes, wounds and scars all over her sickly body. ‘Yes’, she answered at once. At that moment she felt herself grabbed by persons, who stretched her on the cross and nailed her to it. When Teresa awoke from her ‘sleep’, she suddenly became aware of painful wounds on her hands, feet and her heart. 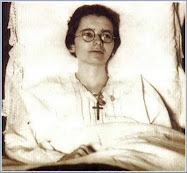 She was understandably frightened at first, but then she recalled the vision of Padre Pio who had showed her his stigmata, and had told her that 'One day you shall be like me'. After a few days the stigmata temporarily disappeared, only to return again in a few years time, as we shall soon see. The story of the 'dream' had an immediate effect and her father began to swear less often. Meanwhile, Teresa continued to pray and suffer for priests, the Church, the souls of the dead, the unchaste and for blasphemers. 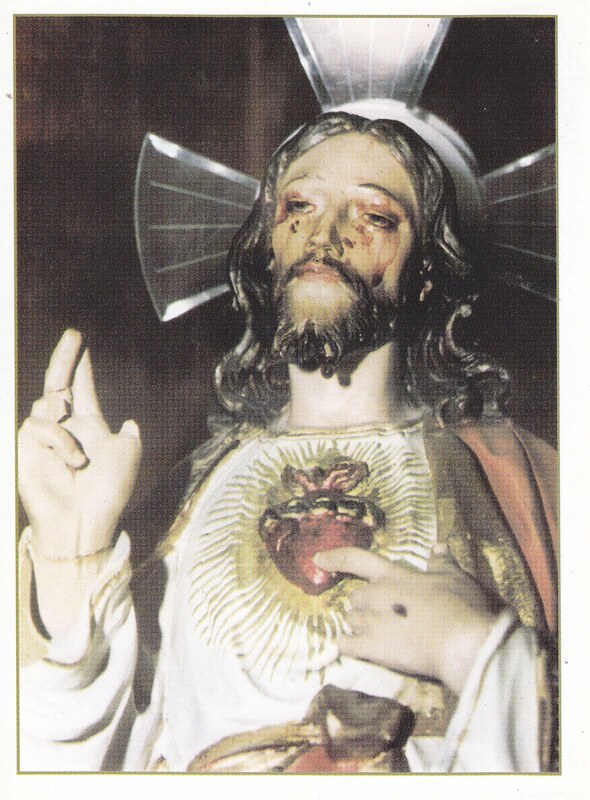 ‘Oh my dear Jesus, You have suffered greatly for me; You have shed your blood for me. Please grant me this wish: make me worthy of You! Cleanse me in Your blood and light the fire of love in my soul! Oh beloved Jesus, let the rays of love which shine from your holy wounds be like flaming arrows to imprint upon me and make me a crucified victim with You. ‘Yes, I do’ said Teresa. [*Editors note: Teresa Musco was especially devoted to St Gemma Galgani, St Maria Goretti and her namesake, St Teresa of Avila. Interestingly, Padre Pio incorporated this into the prayer that he gave her. 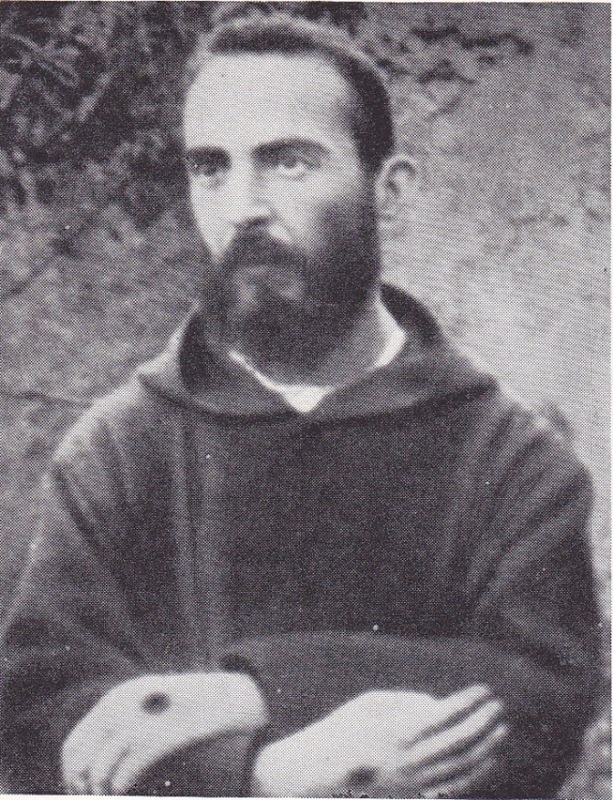 Incidentally, St Pio himself was also known for his devotion to St Gemma]. ‘Jesus, before I see you in heaven, I shall live my life here below as a little host of love. Like the host in the tabernacle, I want to be all white and pure; between the altar and heaven together with you and sanctified to your glory. Receiving Jesus in Holy Communion meant everything to Teresa. She could hardly live without It, and how much Teresa suffered under the opposition of her father, who did not want to let a priest into the house to bring her Holy Communion. On another occasion her father became convinced that she was "possessed" because she was always ill and acted so differently than most everyone else. He decided that she needed to be exorcised, but he wanted no help from the priests, choosing instead of all things a necromancer! Her father paid him for the sittings, during which Teresa was slapped in the face and water was poured over her head. Teresa told her father, ‘If you want to help me, buy the medicine the doctor prescribed instead of wasting it on necromancers.’ Her father told her that 'she wanted to be only a maiden who lives off of her parents wallet'. He ill-treated her now more than ever. One morning, when she had a high fever, her father came into her room, spat in her face and pulled her by the hair out of bed. Then he walked away to his fields, staying in one of his barns for a month, without returning, so that he did not have to see Teresa. He only returned home under the condition that he would not have to set foot into her room again. These events gives the reader at least some idea of what Teresa suffered at the hands of her father. Yet she always prayed for the soul of her father, and she would often plead to Jesus for mercy on his behalf. 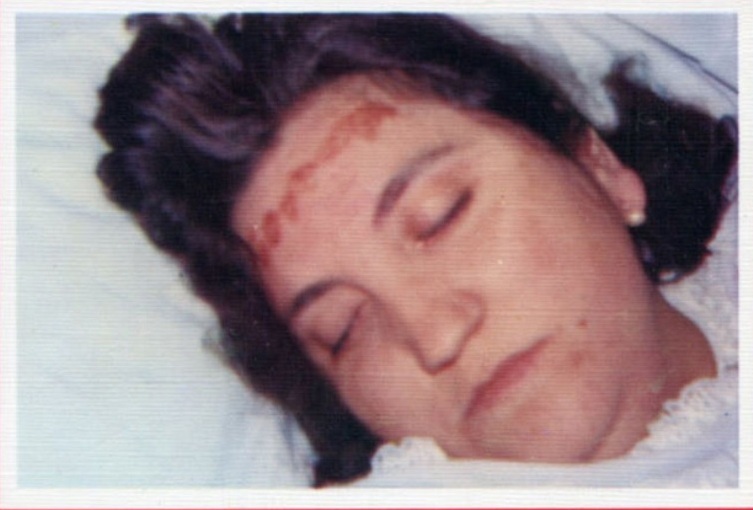 To finish the story of Teresa and her father, after she moved out of her house and went to live at Caserta her father no longer wanted to see her, and continued to refuse to see her up until his death. She continued to sacrifice and pray for him, and the time came when Jesus told her that he had only a short time left to live. Thus warned by Jesus of his approaching death, she tried one last time to visit him a few weeks before his death, and he once again refused. 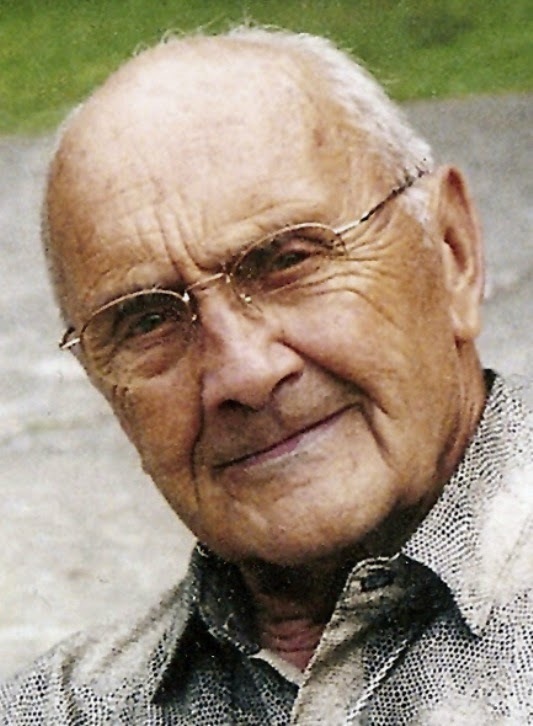 But everyone was very surprised when just 8 days before his death her father suddenly asked to see a priest, since he had never been really concerned about practising the faith up to that point. And then another surprise immediately followed when he requested to make his confession to the priest! And a third and final "shocker" was right afterwards when he requested Holy Communion, which he received devoutly. -How can one explain such a remarkable change? In the last days of his life, Teresa had turned to the Blessed Virgin Mary and beseeched Her to obtain from Jesus her fathers salvation. 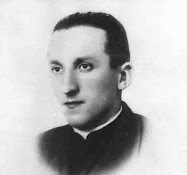 As Don Stefano M. Manelli points out in his book "Teresa Musco -Short Story of a Victim" like St Gemma Galgani, Teresa too had learned to turn to the Blessed Mother of God during the times when Jesus seemed severe or seemingly unwilling to grant a particular grace. Like Gemma, she learned the "secret" that the Blessed Virgin Mary can at times obtain graces from Jesus, that we alone ourselves can not. And, the days passed, but no miracle happened. Then suddenly Teresa received the inspiration to ask the Virgin Mary--our kind and loving mother and intercessor for Her help. The Blessed Virgin soon appeared in a vision, but Teresa did not understand the words the heavenly mother spoke as She looked heavenwards, but she clearly heard Jesus’ answer; "My dear Mother, since it is your wish, then it shall be done!" 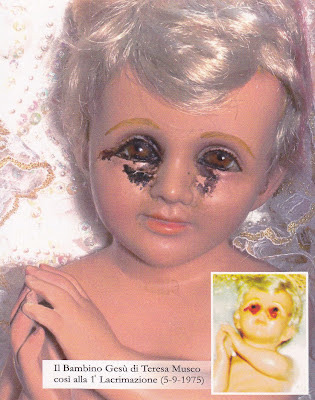 And the child was miraculously cured. Teresa neared the time of Crucifixion. Agonising pains had prepared her for the similarity with Jesus. 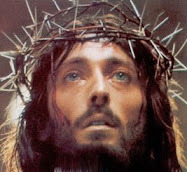 Now, the hour of ascent onto the cross arrived, when she was to obtain the five wounds Jesus had received on the cross. 'Yes, yes!’, came the reply. On Thursday July 31st, Teresa went into ecstasy and she found herself near Jesus ‘who suffered indescribable pain.’ She wanted to help Him and to suffer with Him and asked Him to grant her wish. It was truly painful, but she was very happy. She kept the crown of thorns for two hours, but from then on Teresa’s forehead was often seen to be dripping with blood. 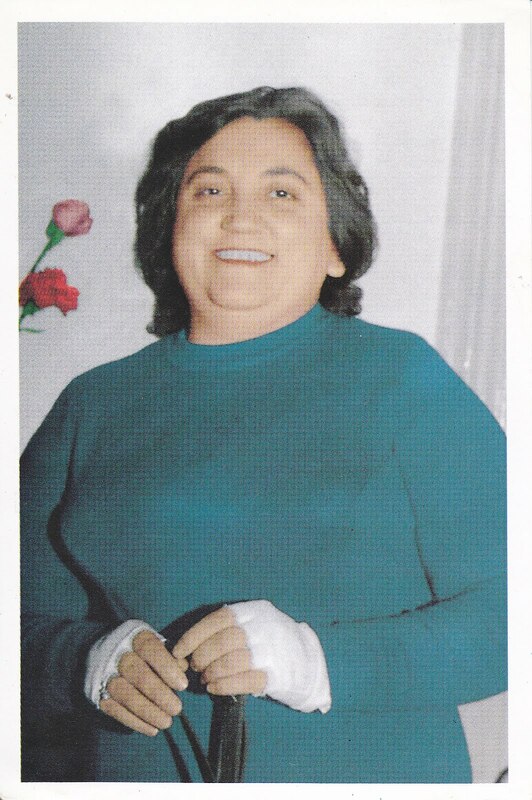 In the last one and a half years of her life there were times when Teresa was overcome by deep sadness due to the sins of humanity and the great offense that they give to Jesus. Bound up with Jesus' passion, she knew how much sacrifices and sufferings were needed to repair these sins. And it was at this time that many pictures of Jesus and the Madonna began to shed blood and tears. The first time it happened, was Feb. 26th 1975. Teresa brought a picture of Jesus from Caiazzo to Caserta. Whilst cleaning the picture, she noticed tears of blood running down Jesus’ face. This was the first extraordinary sign. 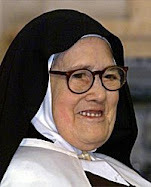 The Archbishop of Caserta examined the picture and then granted Teresa through her spiritual director, Padre Stefano M. Manelli, writtern permission on Good Friday, 1975 to exhibit it on her little prayer altar in her home. On January 1976, Teresa wrote this note into her diary; ‘This year started with so much sorrow. My worst grief is to see the pictures crying blood. Surely also this is a question for each one of us. On March 13th 1973, Jesus in His infinite kindness and mercy told Teresa that it would not be long before she had to leave this world. Taking this to heart she began preparing herself for death. On June 25th, she was rushed to the hospital in Caserta, and was given a room in the renal department. 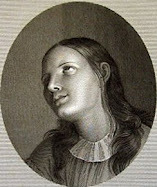 She suffered cheerfully, and she was able to console a young girl age 12 or 13 who was very weak--almost at death’s door. Also she was able to console a poor old woman who was worried where she could go after her discharge from hospital, because not one of her children wanted to have her. Finally she befriended a black woman who was for some reason avoided by the other patients. The poor woman was so pleased that someone cared that she told Teresa her whole life story. As time progressed, Teresa’s condition deteriorated more and more. Renal dialysis was urgently needed, but in Caserta there was no free appointments for the dialysis machine. So they sent her by ambulance to Mercato S. Severino, where they were supposed to have a place free for emergencies; but in this case all beds were occupied. At last they decided to take he into the ‘Clinic dei Gerani’ in Naples. She soon felt her time was near and she longed to enter into eternal life with her Jesus. But, before she could do so, she had to finish her sacrifice; just like Jesus, the crucified victim, had done. During this period until the day she died, Teresa was cheerful, happy and keenly interested to finish her welfare work with old people, for throughout her life she had always cared for the wellbeing of old people, and especially for old priests who needed help and support. The next day, although she was exhausted by painful headaches, she travelled from Caserta to the ‘Clinic dei Gerani’ for another treatment. During her journey she spoke a lot about the plans for the home for aged priests and the homeless men. The last dialysis began, but soon alarming symptoms set in; her heart did not react! Terrible headaches and cramps forced Teresa to ask the Sisters to loosen the tapes. 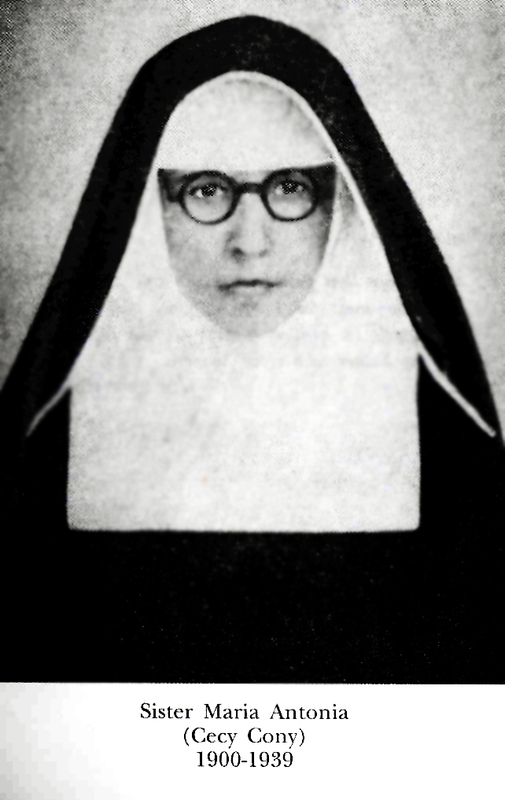 Her spiritual brother, Don (Father) Franco Amico encouraged her and prayed for her, most especially The Lord’s Prayer, Ave Maria, Gloria, Salva Regina, and the Act of Conformity with the Will of God. Suddenly at the same time there began loud ringing from the bells of a nearby church, a news soon came that there was at the Church a sacrilegious theft of a consecrated Host. So it happened that the Sisters left the clinic for a hour to partake to this prayer of atonement. Don Franco was in deep prayer while Teresa lay suffering. Suddenly Teresa called out; ‘Wait! Wait!.’ To whom did she address these words? 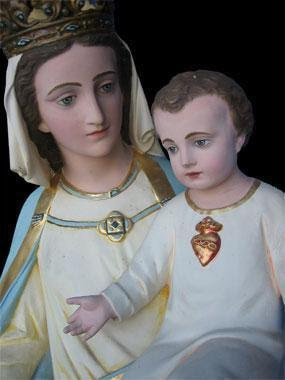 One would surmise that it was to a vision of the Lord’s mother, who stood by her in those last previous moments of life, like She had stood by Jesus at the foot of His cross at His death. Don Franco then gave her the Sacrament of Extreme Unction. The doctors decided to send her at once to Caserta. The Sisters placed her in the ambulance. When she arrived in Caserta she was already dead. Her holy death occurred on August 19th 1976. 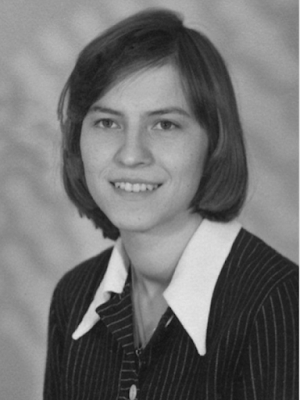 Like her Jesus, Teresa was 33 years old. For two days and two nights her body was on view for the public and people came from far and wide to pay their last respects. The crowd of people was sometimes so big, that the authorities, for the sake of public safety, had to call out the city’s police to regulate the traffic. The arrangements were most solemn, with a concelebration of 20 priests in the cathedral of Caserta. The traffic in that area of the city was blocked and rerouted. When Teresa’s white coffin left the house, the public gave her an unexpected thunderous applause, and again when leaving the cathedral. 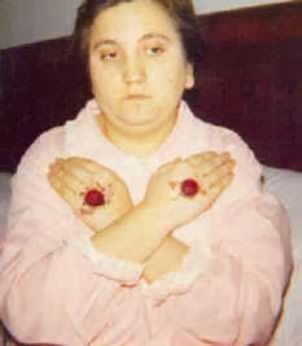 Teresa was dressed all in white, and on her hands could been seen the stigmata which became a final testament to the life of a sacrificial victim soul who offered her life and sufferings in union with Jesus for the conversion of sinners and for priests. -Teresa Musco, pray for us! Thanks for this information. This mystic was completely unknown to me. Amazing. Thank you so much for this account! What a saintly life. 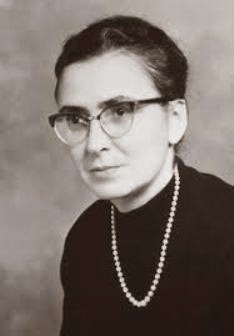 Dear Teresa Musco, pray for us! Thanks so much for this article - I had never heard of Teresa Musco before. Thanks for your wonderful work Glenn! The article mentions Padre Pio's appearances to her. 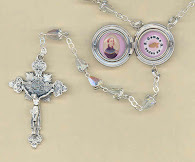 It also mentions her devotion to St Gemma and St Maria Goretti, but did St Maria Goretti or St Gemma appear to her? Her spiritual director, Padre Stefano Manelli is the founder of the Franciscans of the Immaculate. Thank you Richard, Vicki and Ennoh for your kind comments. 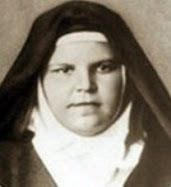 Unfortunately thusfar I have not come across any specific documentation concerning appearences of St Gemma or St Maria Goretti to her, although given the numerous visions that she received of Jesus, Mary, Padre Pio and her guardian angel, I suspect that she also had visions of these two Saints also. 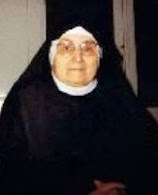 Interestingly, I just finished another article for this website on another Italian mystic who was Teresa's contemporary--her name is Natuzza Evolo (died in 2009), and she too had visions of St Pio and she also had numerous visions of St Gemma along with numerous other Saints, which is mentioned in the article about her. Wow, thank you for your stories of these mystics. I feel as though I have been deep in prayer after reading about Teresa. I will come here often for holy reading for Lent! Thank you for sharing this wonderful story. 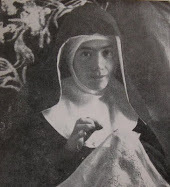 St. Teresa Musco, please pray for us. This is a good message. Thanks for sharing. I am so moved by the story of this great saint that i wish i could live a holy saintly life,now i have learnt how to offer my sufferings unto to Jesus though i am not worthy to do such a thing i wish he would accept me. Frankly, these stories about victim souls frighten me. Non-Catholics must think it's extreme sort of masochism. You said "Frankly, these stories about victim souls frighten me. Non-Catholics must think it's extreme sort of masochism." If we think of and consider the central point of the christian faith--that is, the passion, death and resurrection of Jesus, then sacrifice and suffering, especially for others, appears to us in a whole new perspective; a perspective in which "masochism" has no bearing. Thanks for your comment and may God bless you and your loved ones. 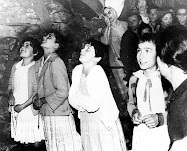 In 1962, through the stigmatic Teresa Musco, the Virgin transmitted a message in accordance with the one from Fatima or from La Salette: "because the people and the clergy have increased the gutter of filth... The Church is at a crossing point: it will either go towards its own destruction, or it will find its path, which it should have never left [...] Satan will do everything so that people will not hear this message... I want to tell you that the world is perverse. I appeared in Portugal where I left messages, but nobody listened. I appeared in Lourdes, in La Sallete, but only a few stone hearts melted. But I want to tell you so many things that sadden my Heart [...] Now, I will speak to you about the third secret I have shared with Lucia, at Fatima. I can tell you it has already been read, but nobody said a word about it." According to Gabriel Roschini (one of the most famous Mariologists of the 20th century), the Virgin Mary told Teresa with anticipation that, although she was going to invite everybody to pray and repent, Pope Paul VI will not bother whatsoever to speak to people about the "third secret of Fatima," under the pretext that it is "frightening," although he was asked by the Virgin Mary to make the content of her message public. The Virgin Mary explained to Teresa in a vision: "Humankind is heading towards a big disaster, at high speed. The population is becoming more and more lost... Fire and smoke will wreath the whole world. The waves of the oceans will turn into fire and steam. Spumous waves will rise covering Europe and will transform everything into molten lava. Millions of adults and children will perish in this fire and the few who will survive will envy the dead because wherever they will look they will only see blood, death and ruins, in the entire world." ~ The above came from a book "No to the Apocalypse" by Gregorian Bivolaru, the message was mixed up with non-Catholic material so be careful in reading it. 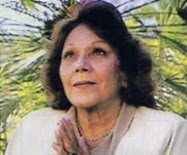 Thank you for your comments and especially for the information and for the excerpts of the 2 messages given to Teresa. I sincerely appreciate it. To reply to your question, no, unfortunately the book that I have in english does not have any of her messages. Interesting info re: Pope Paul 6--I always wondered why the popes seemed not to mind Our Lady over this. Scary to think OL told you, and you didn't do it. cannot describe how I felt when reading this about Teresa. Dear Teresa please pray for my daughter; bring her back to thepraci e of her Faith. I visited her house where she lived and suffered. I love her dearly. "The fire and smoke decompose the world. The waters of the oceans will turn into fire and steam. The foam will rise flooding in Europe and all will sink under the lava of fire. The chosen few living envy the dead.. . "
This was a purported prophecy of Teresa Musco and apparently before neues europa released its partially bogus version in 1963 which may have contained some truths of the suppressed part of the Third Secret, especially given it corresponds to the approved Akita. Does anyone who has Fr Manelli's book cited the above prophecy? If so is there reference to a pre 1963 source? 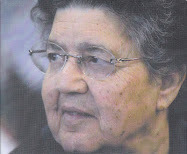 What was Fr Manelli's impression of Teresa's holiness? I have been unsuccessful in locating an English copy of that book and would appreciation any information I can find. What a remarkable story. Teresa I pray for your guidance in all of our lives. 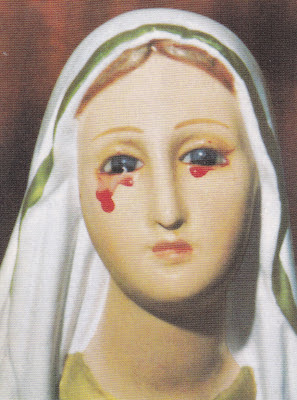 "The Church is at a crossing point: it will either go towards its own destruction, or it will find its path, which it should have never left..."
I just read an article yesterday by a man who says almost the same as the alleged words of Our Lady above. Actually, this is my third encounter with the same type of reasoning in the month of December. One would think that there would be more on the internet about this woman, or that Father's book about her would be readily available. Glenn, thank you for all you do and for your extensive research into the lives of these remarkable Catholics. God bless you and your family, and may you have be richly blessed this new year! Strange enough, it does not mention the scientific evidence. One biologist, Dr Franco Guarino, witnessed the crying of the statues and anylized the blood after verifying that there was no fraud (the statues were all locked up in glass containers) and found out that it did not belong to the group of the mystic. Some other tests were done by a bishop while the statue of Jesus Christ began to cry tears of blood and came to the same conclusion. In those times the statues cried more than one hundred times. Thanks Fabiana for providing this very interesting information! Have all of these mystics been approved by the Church? Some have, some have not. 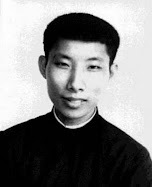 Those with the titles of "Servant of God", "Venerable", "Blessed" and "Saint" go from lowest to highest approval. Rita Biesemans : I've been fighting with myself whether to write this or not but I'm going to anyway. In 1965 my mother got a big beautiful picture of the Merciful Jesus. One day I was burning a candle next to it and the candle fell by accident against it and burned an inch + of the hair part. I took the picture from the wall and quickly taped the burned part so it wouldn't become a hole. My mother was very distraught about it. On the painted wall there was a brown imprint of the burn, but I hung the picture back on the same spot after I put a hard plastic cover sheet over it and consoled my mother that at least Jesus' Face was intact. After some time, I don't remember how long later, I was gonna clean the painted walls in the living room, so I had to remove the picture of the Merciful Jesus also. The moment I was going to wash off the imprint of the burn on the wall, something in me said : don't do it and I felt a strong exhortation as if something was going to happen to it. I never experienced this before. But I listened to my inner little voice. I kept my mouth shut though, never said anything about that. One morning my mother called me : " Rita come downstairs and see what happened on that wall." There was blood running from behind the picture, we removed the picture and saw three blood streams running down from the "burn" imprint which was bloody too. in November my parents went to Padre Pio who said that Jesus said that He had marked our house with His Blood just as He saved the world with His Blood and that this sign would open the eyes of many, that He would show my parents their enemies. He explicitly said : do not talk about this yet to no one, for the devil always lies in wait to destroy My Work." Once at home my mother thought she should tell the bishop about that. 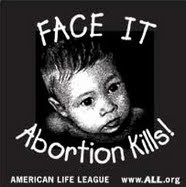 The Bishop said he would come and look at it and said that these signs happened with the first christians. In the meantime the blood stopped running and had formed 3 clots at the end of the blood streams. The day that the Bishop was coming - my mother even put a white/yellow flag on the table :o) - we were waiting and waiting and waiting but he didn't show up. He was first visiting the fathers TRAPPISTS in their monastery (their was a lot of rebellion going on in that particular beer brewing monastery). The monastery's economist who loved my parents very much told us afterwards what happened. The prior had threatened the Bishop that the diocese would not receive a single penny anymore if he dare come visit us and look at what happened. All hell broke loose after that, the story is too long to write down. (You see we should have listened to Jesus' advice via Padre Pio not to talk about it yet.) One day I thought :"If it is Jesus' blood I want to touch it, and while touching it, the blood started running again and clotted again after awhile (I would never do this again now, I was young and as green as grass). The Bishop ordered parish priests to preach that nobody was allowed to come and visit us, I heard it with my own ears. We finally moved to another city because life became impossible. 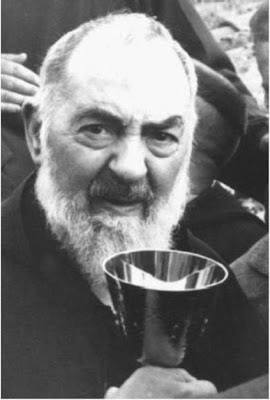 My parents asked padre Pio what to do with the Blood on the wall and he said :" the One Who put it on there, can also take it away". We never knew what happened to it afterwards. Lesson learned though.